Bob Bonkers has a very special one hour Christmas show, which has been specifically designed with the festive season in mind. The show is bursting with Christmas magic and treats, full of festive fun and laughter. For a little extra fun, you can add a whole host of games and dancing with festive music. Party People can also help your Christmas party finish on a high with a visit from the man himself. We can arrange for Santa to visit your event. 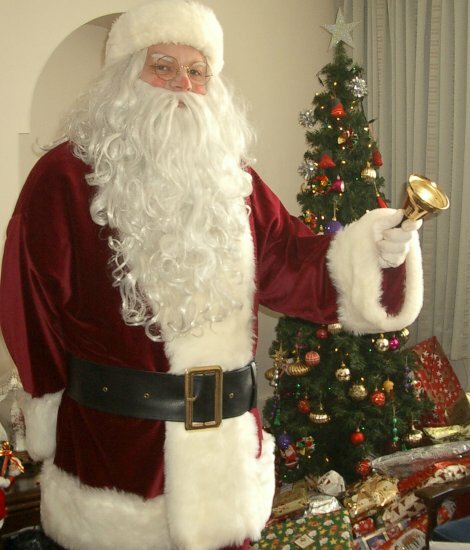 With his huge tummy and custom made fur and velvet suit, real boots and big white beard, his soft and jolly approach is always an instant hit with the children. A great photo opportunity. “I had an image of what Santa should look like, and he was just as I though he should be.” Mrs H, St Marks Primary.